Superior Healthplan Network Health Insurance Company is actually known as Superior HealthPlan or Superior. This company serves the citizens of the state of Texas. There are many subsectors of the company that will be discussed in this article that describe all the various communities Superior can provide health insurance. Don’t live in Texas and looking for health insurance? Find affordable health insurance quotes in your area by entering your zip code. There are three different services in which the Centene Corporation provides healthcare to its members: Medicaid, Supplemental Security Income, and the State Children’s Health Insurance Program. If you are looking for health insurance, but you don’t think you’d be able to afford it, based on your family’s income, you might be eligible for Medicaid. Chances are you will be able to receive at least some coverage, being there is a program for every state, and is available depending on your income requirements based on your states bylaws. Supplemental Security Income or SSI is another Medicaid program that provides care for people in their later years, and those suffering from disabilities such as a lack of hearing or blindness. A little over of a quarter of recipients of Medicaid will qualify for SSI to help assist with their chronic or behavior illnesses. Some states do offer tailor made programs to their citizens, which you can read more about on their website. The State Children’s Health Insurance Programwho is known as SCHIP is a program for providing those families with children who do not qualify for Medicaid; however, they cannot afford purchasing a suitable plan to cover their family members. Millions of children over the next five years will start receiving that coverage as $24 billion dollars has been allocated to providing them with adequate health insurance. The SCHIP Program in Texas has a few added benefits not found in other states. If you happen to be pregnant and you are unable to qualify for Medicaid benefits, you can sign up for services immediately. There is no waiting period and you don’t have to take any sort of test to qualify for enrollment, Texas just wants to make sure that all expecting mothers are given their proper coverage. You will be covered for 20 visits, leading up to the delivery date, any prescriptions and vitamins you may require and two checkups after birth. You will continue to receive CHIP healthcare, such as regular checkups, and any sort of immunizations your child may need after they leave the hospital. If you happen to be within the range of 185%-200% below the Federal Poverty Level, or an immigrant whose income is below 200% of the poverty level you qualify for CHIP Perinatal Care. For a complete listing of service areas in the state of Texas, visit: http://www.superiorhealthplan.com/about-us/chip-perinatal-care/. Parents must renew coverage every twelve months to make sure their child is covered. You must be a Texas resident, a U.S. citizen or legally permitted to live in the U.S., under the age of 19 years and you cannot be insured for 90 days before employment. 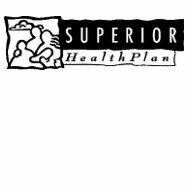 To find out more specifics on the plan, check out: http://www.superiorhealthplan.com/about-us/superior-healthplan-network/chip-rsa-centaccount/. All of the same standard package ingredients are included in this plan, as well as dental and vision services, your choice of doctor and a whole lot more. All of the same qualifications that applied for the RSA program apply for the Superior. To find out more about the STAR programs and Superior HealthPlan in general, visit their website. Are you looking for health insurance quotes in the state of Texas? Enter your zip code now!